Should you stop wasting money on ads on social media? If your money is limited, is there a better way to market your brand than buying those likes? Is it a good habit to depend on social media channels for your product or service? 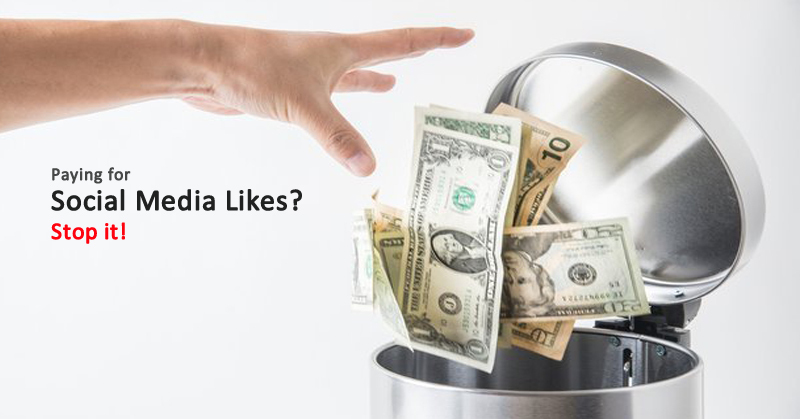 Is it worth spending thousands of dollars in getting those elusive likes on your pages? Well, the answer is both yes and no. Social media is no doubt a very good medium to reach a wide variety of people which was previously only possible through direct television ads. In the 90s and early 2000s, if you wanted to reach the normal public, the marketing channels were either television ads and hoardings or through btl activities like pamphlets. And then came digital media and it was possible to reach anyone, anywhere just by spending a couple of bucks. It was great, it was an innovation way greater than anyone had anticipated. Everything seemed perfect. Your social media pages were growing in the number of likes and your posts were reaching all of them thus converting to revenue. But then, it had to change. How did it change, why did it change and what were those changes? This article is to understand the many aspects of social media marketing which we normally tend to ignore. As entrepreneurs, as businessmen, as artists we spend a lot of money in social media marketing only to find that it is not working the way we thought it would. Is it worth spending that kind of money? How much is worth that? Let me explain this with the example of the biggest social media site in the world. When it first started as a social media platform it was used mostly by people to connect to other friends and see each other’s updates. For example if I had three hundred friends I would see their updates in my news feed. The whole point of adding people as friends was to see their activities on your news feed. After a few years the social media site launched pages, which could be used by businesses to communicate with potential customers. Businesses, artists or any brand could communicate with a vast number of people by using these pages. The way pages are different from friends list is that only 5000 friends are allowed for any user but there is no maximum cap on the number of people that can follow a page. This was good news for startups, businesses, brands, artists etc who could suddenly send a message to a large number of users. 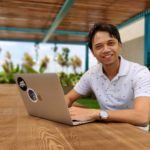 As people started noticing that they could reach a lot of people with these pages, they started investing money in ads to get more people to follow them. The ads were run by the social media company itself and it was being shown to users who had not liked the page previously. And it was logical, as a business you don’t mind spending money to get followers for your page on social media because you know that you will be able to send your message across to them later. Also it made sense for people to like the page because they wanted to get informed whenever there were any offers from the page. The people who did not like the page were obviously the ones who did not want to see your messages. So it made perfect sense to spend money on ads and get these people to follow you. But then, there came a change. As the social media site became more popular and started earning more revenues, they thought of increasing their revenues by bringing in a change. They brought in an algorithm that would decide if your posts gets shown to people who have liked your page previously. One misconception that everyone has is that when you post on your social media page it gets shown to all the people who have liked the page. The fact is that it doesn’t get shown to all the people who have liked the page. Logically speaking, it should have been shown to all the people since we had first spent money to find who are interested to get notified of our posts. But logic is not followed here. What it does is that once you post a new post, it sends the post to a randomly selected percentage of your total followers. Depending on the engagement by these first batch of people, the algorithm decides whether to send it to the next randomly selected group of followers. So, if the post doesn’t elicit a good response, it doesn’t propagate forward. To show your post to all the people who have liked your page, you then need to spend money and boost the post. This is ridiculous, absolutely ridiculous. First, you have to spend money to get those followers (who btw liked your page because they wanted to see your updates, else they would not have liked) and then you need to pay to show your post to people who have already liked your page. This does not seem justified. You must have seen a lot of pages with close to 1 million followers but getting only like 10000 likes on their posts. But there is also another point of view though. If you look from another angle it looks logical as well. The analogy I can draw here is similar to acquiring the physical addresses of interested customers by visiting them or asking them to fill up a form. But when you decide to send a message in an envelope to these people, you will again need to spend money to post it. Nothing in the world is free. When you send a message to a person who have liked your page, the social media company has to pay for it. There are different expenses like server costs etc. If you look from this angle, the social media site charging money to show your posts to the people who have already liked your page seems logical. But the unethical thing these social media companies do is that they don’t tell you beforehand what they are going to do. If you had known that you had to pay to show a post to your own followers, you might not have wanted to get those followers by paying for them. You might have tried other ways. But the social media company didn’t tell you before. They keep changing the rules of the game whenever they want. As such, all the money that people had spent to acquire followers have gone to waste. It is better not to have any followers and instead promote a post to the audience you select. Is Social Media Presence Required? So the question that we have in front of us is “Do we require social media presence?” The answer will be yes. But not in the form of spending thousands of dollars to get followers or likes. Those are useless. Instead you should concentrate to have a decent social media presence like regular posting, regular updates, conversations with users etc that can create some trust in the minds of your customers. How will a customer know if your company has shut shop or is still active? How will your customers know that you are still working hard to bring value to them? They will only know if they see your posts when they visit your page. There are different channels that you can use to communicate your message to your potential customers. Some are rented channels like the social media websites and some are owned like email or direct physical post. The difference between rented and owned is that you have more control over the owned channels and you don’t become a sitting duck in case the social media companies decide to change their algorithms. Content Marketing through blogs: This will not only create some content to express your message in broader terms but also can be optimized for search engine optimization. Regular posts on social media platforms: Regular posts on social media platforms using features like hash tags can increase visibility and can bring in additional traffic. But it should be done in a regular manner and not once in a while. Use influencers or PR to communicate your message: People are more likely to believe in your product if a third person tells them about it rather than you. Just imagine a situation where I tell you that I am the best pilot in the world. You are more likely to think that I am just being arrogant and I may not be what I say. But if someone else would have told you “Hey you know what? Gaurav is a real good pilot. In fact one of the best.” You are more likely to believe it because I am not blowing my own trumpet. Word of mouth: Word of mouth is a very strong marketing tool. It is similar to the above one where someone else talking about you creates more belief than you talking about yourself. If you have fellow startups, businesses, artists etc, collaborate with them and give a shoutout to each other. These are some of the ways to get your brand out there. I can understand that as an entrepreneur or an artist with little money it gets very difficult to achieve the ideal strategy and also execute it. Strategizing is easy but to implement it you need resources. You need to execute all the plans and yet cannot afford to burn a big hole in your pocket. Either you hire people to execute the work or you outsource it to an external agency to do it. Either way you will spend quite a lot of money to do the basic work that we had discussed above. That is exactly why we at Bangalore Insider came up with an idea of pooling resources. We put forth this idea to a number of startups and a lot of them are in it to pool resources and reduce their costs. For example, instead of hiring one content writer or a graphic designer for your company (when you don’t have too much of requirement for a full time graphic designer or content writer) you can be a part of this initiative and get your requirement done at a lesser cost. The simple math is, for example, if a content writer can write 2 articles in a day, and you as a company needs only one article per week, then the same content writer can write articles for more startups and the cost of hiring that content writer can be shared by all of the startups. A lot of startups and individuals have already shown interest to be a part of this community and pool resources. If you feel the same then please fill up this form with your details. We will get back to you and explain more about it. Leamigo: Making travel easy for everyone across globe.